"...Using a French-African term in an English context, even if simply for discursive analyses, could be percieved as potentially exoticizing and further marginalizing 'mixed-race' subjectivities..."
"...Furthermore, one could argue that partially deflecting the attention away from what I call the popular folk concept of 'race' to other forms of identification and stratification diminishes the significant and potent function institutionalized racism plays in the maintenance of privilege and power for some and disadvantage and discrimination for others.� Finally, in attempting to construct a new lexicon, I am perpetuating a fictional history which ignores the ways in which the social processes of 'racial' mixing are themselves old." There is a rich body of literature on the experience of Japanese immigrants in the United States, and there are also numerous accounts of the cultural dislocation felt by American expats in Japan. But what happens when Japanese Americans, born and raised in the United States, are the ones living abroad in Japan? Redefining Japaneseness chronicles how Japanese American migrants to Japan navigate and complicate the categories of Japanese and “foreigner.” Drawing from extensive interviews and fieldwork in the Tokyo area, Jane H. Yamashiro tracks the multiple ways these migrants strategically negotiate and interpret their daily interactions. Following a diverse group of subjects—some of only Japanese ancestry and others of mixed heritage, some fluent in Japanese and others struggling with the language, some from Hawaii and others from the US continent—her study reveals wide variations in how Japanese Americans perceive both Japaneseness and Americanness. 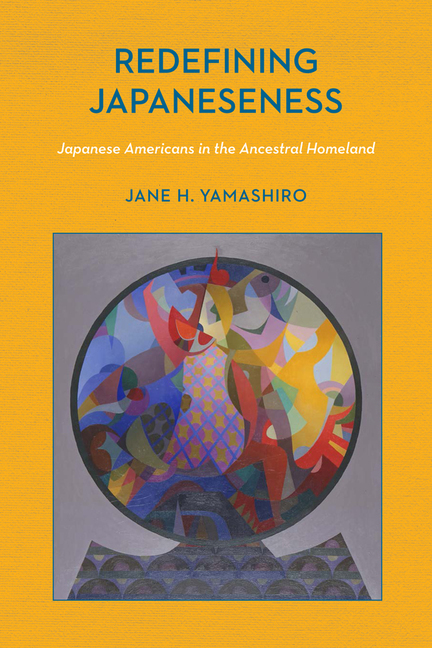 Making an important contribution to both Asian American studies and scholarship on transnational migration, Redefining Japaneseness critically interrogates the common assumption that people of Japanese ancestry identify as members of a global diaspora. Furthermore, through its close examination of subjects who migrate from one highly-industrialized nation to another, it dramatically expands our picture of the migrant experience. This book begins with a simple question: why do so many Dominicans deny the African components of their DNA, culture, and history? Seeking answers, Milagros Ricourt uncovers a complex and often contradictory Dominican racial imaginary. 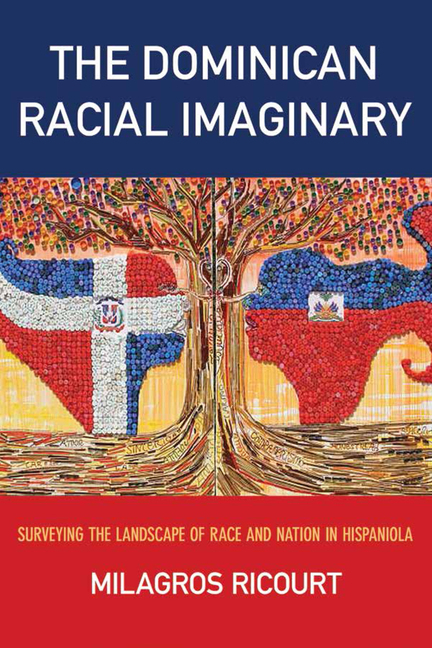 Observing how Dominicans have traditionally identified in opposition to their neighbors on the island of Hispaniola—Haitians of African descent—she finds that the Dominican Republic’s social elite has long propagated a national creation myth that conceives of the Dominican as a perfect hybrid of native islanders and Spanish settlers. 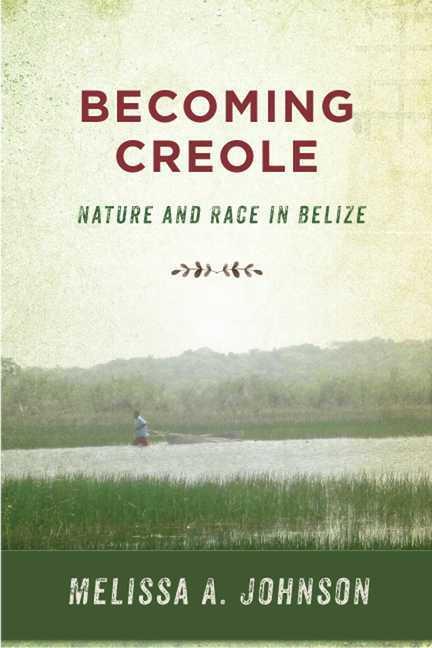 Yet as she pores through rare historical documents, interviews contemporary Dominicans, and recalls her own childhood memories of life on the island, Ricourt encounters persistent challenges to this myth. Through fieldwork at the Dominican-Haitian border, she gives a firsthand look at how Dominicans are resisting the official account of their national identity and instead embracing the African influence that has always been part of their cultural heritage. Building on the work of theorists ranging from Edward Said to Édouard Glissant, this book expands our understanding of how national and racial imaginaries develop, why they persist, and how they might be subverted. As it confronts Hispaniola’s dark legacies of slavery and colonial oppression, The Dominican Racial Imaginary also delivers an inspiring message on how multicultural communities might cooperate to disrupt the enduring power of white supremacy. In the 1933 publication The Masters and the Slaves, Brazilian scholar and novelist Gilberto Freyre challenged the racist ideas of his day by defending the “African contribution” to Brazil’s culture. In so doing, he proposed that Brazil was relatively free of most forms of racial prejudice and could best be understood as a “racial democracy.” Over time this view has grown into the popular myth that racism in Brazil is very mild or nonexistent. This myth contrasts starkly with the realities of a pernicious racial inequality that permeates every aspect of Brazilian life. To study the grip of this myth on African Brazilians’ views of themselves and their nation, Robin E. Sheriff spent twenty months in a primarily black shantytown in Rio de Janeiro, studying the inhabitants’s views of race and racism. How, she asks, do poor African Brazilians experience and interpret racism in a country where its very existence tends to be publicly denied? How is racism talked about privately in the family and publicly in the community—or is it talked about at all? Sheriff’s analysis is particularly important because most Brazilians live in urban settings, and her examination of their views of race and racism sheds light on common but underarticulated racial attitudes. 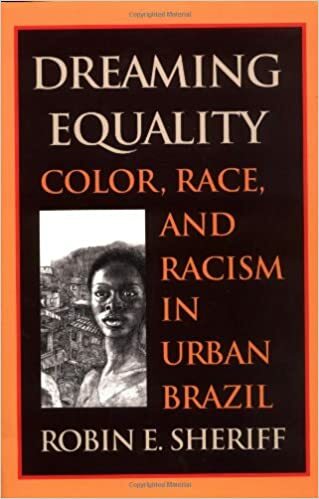 This book is the first to demonstrate that urban African Brazilians do not subscribe to the racial democracy myth and recognize racism as a central factor shaping their lives. For most of the twentieth century, Brazil was widely regarded as a “racial democracy“—a country untainted by the scourge of racism and prejudice. In recent decades, however, this image has been severely critiqued, with a growing number of studies highlighting persistent and deep-seated patterns of racial discrimination and inequality. Yet, recent work on race and racism has rarely considered gender as part of its analysis. In Negras in Brazil, Kia Lilly Caldwell examines the life experiences of Afro-Brazilian women whose stories have until now been largely untold. 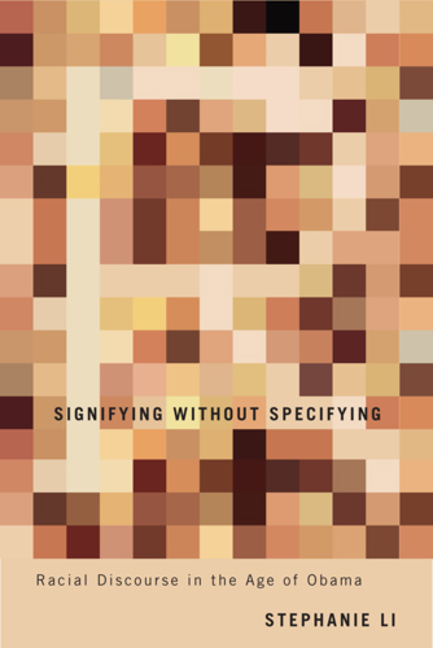 This pathbreaking study analyzes the links between race and gender and broader processes of social, economic, and political exclusion. Drawing on ethnographic research with social movement organizations and thirty-five life history interviews, Caldwell explores the everyday struggles Afro-Brazilian women face in their efforts to achieve equal rights and full citizenship. She also shows how the black women’s movement, which has emerged in recent decades, has sought to challenge racial and gender discrimination in Brazil. 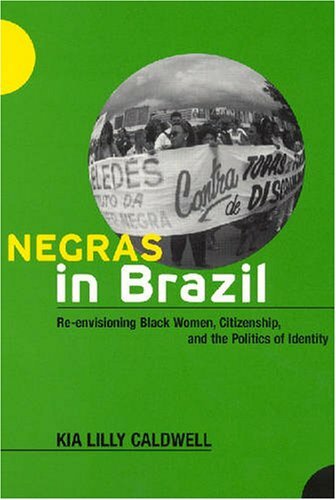 While proposing a broader view of citizenship that includes domains such as popular culture and the body, Negras in Brazil highlights the continuing relevance of identity politics for members of racially marginalized communities. Providing new insights into black women’s social activism and a gendered perspective on Brazilian racial dynamics, this book will be of interest to students and scholars of Latin American Studies, African diaspora studies, women’s studies, politics, and cultural anthropology. President Lyndon Johnson never understood it. Neither did President Richard Nixon. How could a black man, a Republican no less, be elected to the United States Senate from liberal, Democratic Massachusetts-a state with an African American population of only 2 percent? 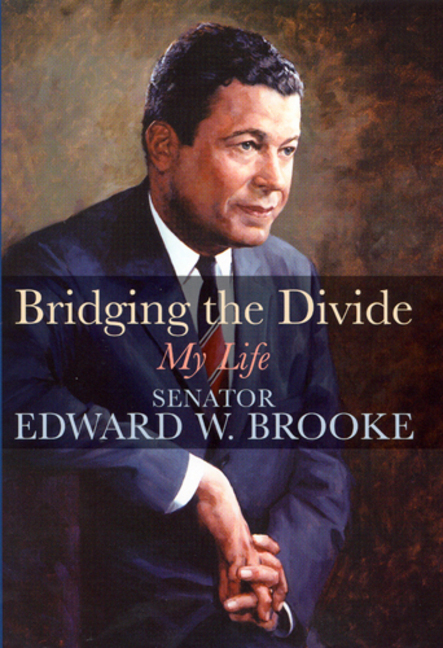 The mystery of Senator Edward Brooke’s meteoric rise from Boston lawyer to Massachusetts attorney general to the first popularly elected African American U.S. senator with some of the highest favorable ratings of any Massachusetts politician confounded many of the best political minds of the day. After winning a name for himself as the first black man to be elected a state’s attorney general, as a crime fighter, and as the organizer of the Boston Strangler Task Force, this articulate and charismatic man burst on the national scene in 1966 when he ran for the Senate. In two terms in the Senate during some of the most racially tormented years of the twentieth century, Brooke, through tact, personality, charm, and determination, became a highly regarded member of “the most exclusive club in the world.” The only African American senator ever to be elected to a second term, Brooke established a reputation for independent thinking and challenged the powerbrokers and presidents of the day in defense of the poor and disenfranchised. In this autobiography, Brooke details the challenges that confronted African American men of his generation and reveals his desire to be measured not as a black man in a white society but as an individual in a multiracial society. Chided by some in the white community as being “too black to be white” and in the black community as “too white to be black,” Brooke sought only to represent the people of Massachusetts and the national interest. His story encompasses the turbulent post-World War II years, from the gains of the civil rights movement, through the riotous 1960s, to the dark days of Watergate, with stories of his relationships with the Kennedys, Martin Luther King Jr., Lyndon Johnson, Richard Nixon, Henry Kissinger, Colin Powell, and future senator Hillary Clinton. Brooke also speaks candidly of his personal struggles, including his bitter divorce from his first wife and, most recently, his fight against cancer. A dramatic, compelling, and inspirational account, Brooke’s life story demonstrates the triumph of the human spirit, offering lessons about politics, life, reconciliation, and love. The sheer diversity of the Asian American populace makes them an ambiguous racial category. Indeed, the 2010 U.S. Census lists twenty-four Asian-ethnic groups, lumping together under one heading people with dramatically different historical backgrounds and cultures. In Racial Ambiguity in Asian American Culture, Jennifer Ann Ho shines a light on the hybrid and indeterminate aspects of race, revealing ambiguity to be paramount to a more nuanced understanding both of race and of what it means to be Asian American. Exploring a variety of subjects and cultural artifacts, Ho reveals how Asian American subjects evince a deep racial ambiguity that unmoors the concept of race from any fixed or finite understanding. 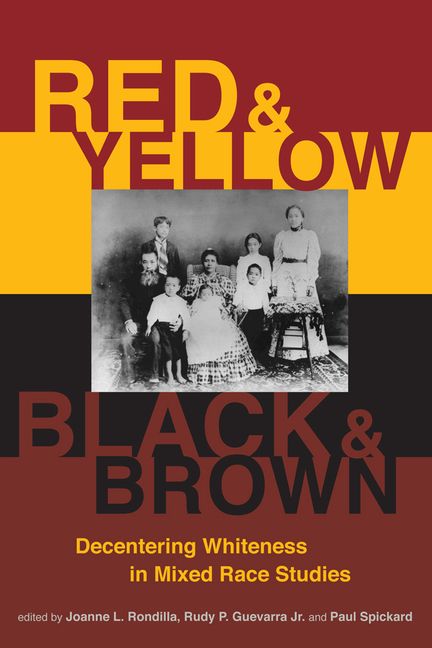 For example, the book examines the racial ambiguity of Japanese American Nisei Yoshiko Nakamura deLeon, who during World War II underwent an abrupt transition from being an enemy alien to an assimilating American, via the Mixed Marriage Policy of 1942. It looks at the blogs of Korean, Taiwanese, and Vietnamese Americans who were adopted as children by white American families and have conflicted feelings about their “honorary white” status. And it discusses Tiger Woods, the most famous mixed-race Asian American, whose description of himself as “Cablinasian”—reflecting his background as Black, Asian, Caucasian, and Native American—perfectly captures the ambiguity of racial classifications. 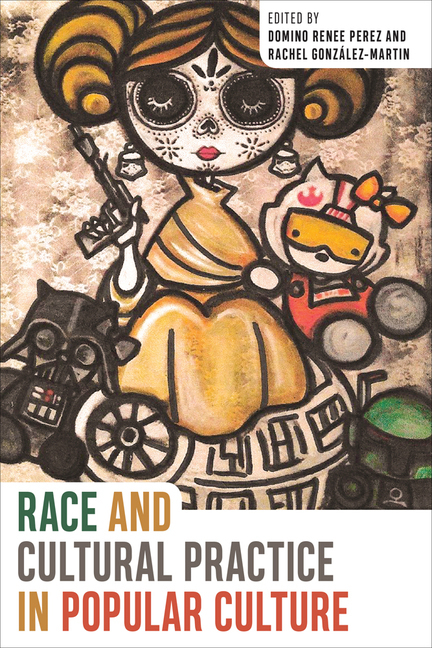 Race is an abstraction that we treat as concrete, a construct that reflects only our desires, fears, and anxieties. 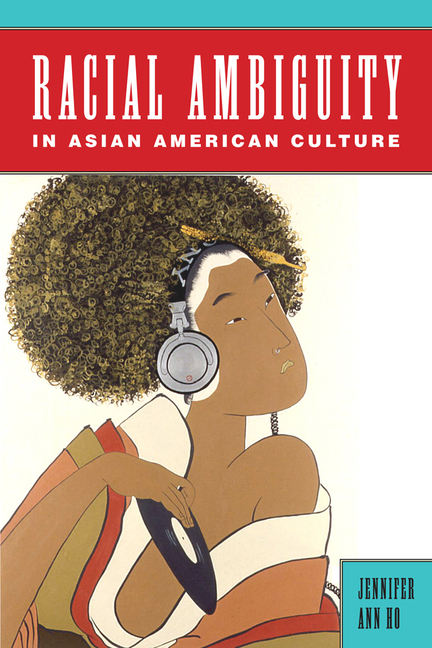 Jennifer Ho demonstrates in Racial Ambiguity in Asian American Culture that seeing race as ambiguous puts us one step closer to a potential antidote to racism. On the campaign trail, Barack Obama faced a difficult task—rallying African American voters while resisting his opponents’ attempts to frame him as “too black” to govern the nation as a whole. Obama’s solution was to employ what Toni Morrison calls “race-specific, race-free language,” avoiding open discussions of racial issues while using terms and references that carried a specific cultural resonance for African American voters. Stephanie Li argues that American politicians and writers are using a new kind of language to speak about race. Challenging the notion that we have moved into a “post-racial” era, she suggests that we are in an uneasy moment where American public discourse demands that race be seen, but not heard. Analyzing contemporary political speech with nuanced readings of works by such authors as Toni Morrison, Jhumpa Lahiri, and Colson Whitehead, Li investigates how Americans of color have negotiated these tensions, inventing new ways to signal racial affiliations without violating taboos against open discussions of race.